Editor's note: This is not a sponsored review. Upon BCL's request, Faraday is kindly offering a $200 discount coupon code below to the first five people who use it to purchase a Faraday eBike (coupon not valid with no-interest payment plan). Faraday, where have you been all my life? I wish I could say it was love at first sight when I saw the Faraday Cortland electric bicycle in our local Trek bike store last fall. Sure, it was a gorgeous bike with a fun, retro design. The cruiser style, snazzy paint job, and cool looking bamboo fenders make the Cortland a real head-turner to be sure, but the price tag made me hesitate. My husband had been wanting to purchase an electric bike for me for some time, and I thought a cheaper store model would get the job done. Over my objections, my husband—an experienced cyclist—surprised me with a cream-colored Cortland for my birthday, and I couldn’t be happier. In fact, I’m positively giddy when it comes to telling people about how much fun I have riding my Faraday bike here, there, and, well, everywhere! 1. Riding the Faraday Cortland is pure fun. I know nothing is perfect in this world, but the Cortland comes close—really, really close (other models offered include the Cortland S, Porteur, Porteur S, and Porteur S Civic). Everyone who contributed to the Kickstarter campaign for the Faraday Cortland should be very pleased with their investment. Just think about everything that is fun about riding a bike—check! The Cortland makes that happen. Now think about what is not so fun—specifically, having to navigate difficult hills—check! With two electric assist levels and eight gears on the Cortland, Faraday lets you choose how much effort you want to expend getting up a hill. I’m in my fifties, but my electric bike makes me feel like a kid again every time I go for a ride. 2. You can go riding with more experienced and fit cyclists. If your family is more athletically fit than you are and you feel like you are holding the group back when you all go on a bike ride, that’s all in the past with a Faraday electric bike. I like to joke that I actually fall behind on downhill sections of our outings because I don’t like to go as fast as the rest of my family. It's not a problem, however, because I always catch up with everyone on the uphill parts of the course by using the assist mode. 3. You will feel like you have superhuman powers. Even though I know I’m getting help from the electric battery on my Faraday, there’s just something about being able to climb hills with much less effort as well as getting to wherever you're going faster than was ever possible before on a regular bike. You can’t help but feel like your favorite superhero! Someone said that you get more exercise on an electric bike than on a regular bike because you will actually use it, and for many people, including me, this holds true. Even when I feel tired, I know I will be able to complete my ride and end up feeling more energized when I’m done. 5. If you live close enough to work, you can commute on your Faraday and still arrive fresh as a daisy! One problem with commuting to work on a bicycle is arriving at work, let’s say, rather glowing—or downright wet-shirt sweaty. It’s fine if you’re riding your bike for a significant workout and there are shower facilities available at your workplace; but if you want to save money on gas and parking, avoid traffic congestion, and go easy on the environment, it’s hard to beat the advantages of an electric bike. 6. Faraday included lots of nifty design features in the Cortland. Faraday has put a lot of thought into the quality of the components on its electric bikes, and they also offer various bike options for different price points. The Faraday Cortland features steam-bent bamboo fenders, a Gates belt drive, custom chromoly steel frame, and a smooth-shifting Shimano Alfine 8 drivetrain. Additionally, the electric motor is situated on the front wheel axle, staying separate from the pedal drive train. This allows the bike to operate smoothly both with and without the electric assist mode. Furthermore, the Cortland is fairly light weight-wise at around 40 pounds. 7. The Faraday has just enough power—not too much and not too little. From the Faraday website, “The harder you pedal the more support you get on our pedal assist eBike. Faraday's onboard algorithm constantly adjusts the motor to match what you need.” This is actually a pretty big deal, because some electric bikes can move without any pedal-assist and have so much power that they can get away from you unexpectedly, even possibly causing an accident. 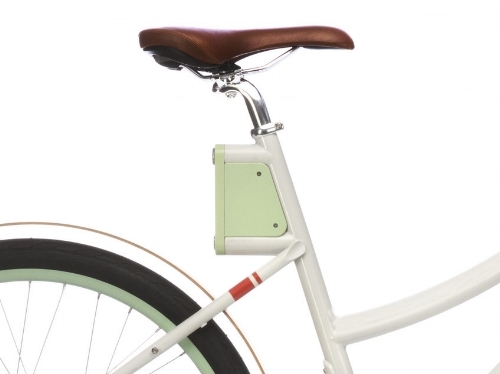 Because the Faraday battery works in tandem with the pedals, the rider can maintain more control. 8. The design gives the battery aspect a low profile. It takes some guesswork to find the location of the battery pack on the Faraday. Instead of screaming, “Yes, it’s electric!” Faraday’s clever design and significant amount of hidden wiring make the Faraday look almost like any other bike. 9. Faraday offers models at different price points—and a no-interest payment plan. The Faraday Cortland is currently priced at $3,499. (Thank you, Faraday, for kindly offering a $200 discount to the first five people to take advantage of the coupon code below.) With Faraday’s payment plan of $145 per month for the Cortland and Porteur (please note: coupon does not apply with payment plan), you can stretch out the cost over 24 months—with no interest to boot. 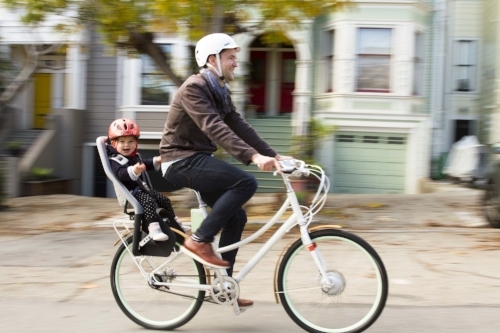 The Porteur S and Cortland S models are both priced at $2,499 with a no-interest payment plan cost of $104 for 24 months. If you think about the money you are spending on gym and class memberships that you may or may not use on a regular basis, the cost of a Faraday bike makes a lot of sense considering the years of use you will get out of it. 10. Faraday bikes have been known to make people happier. 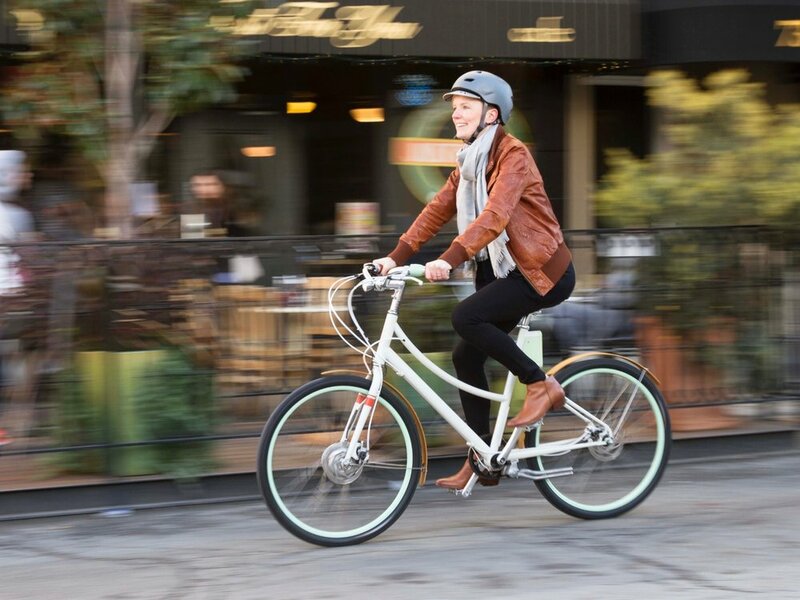 While some people think electric bikes are for people who don’t want to put in a lot of effort, a Faraday customer survey found that 54 percent of respondents say they’re more fit than they were before, 13 percent have lost weight, and 72 percent—yes, 72 percent—say they’re happier than before. I can attest that I have personally experienced an increased sense of well-being from riding my Faraday bike on a regular basis. The first five people using the coupon code "fdy200" will get $200 off their Faraday electric bike purchase (coupon not valid with no-interest payment plan).